All past news articles are available to read, listed by date. Since the launch of our Exemplar Employer Initiative, our Opportunity Hunters have been rewarding various organisations with this Exemplar Employer Award. Recently, two more certificates of recognition have been presented to local organisations. Since the launch of our Exemplar Employer Initiative, our Opportunity Hunters have been rewarding various organisations with this Exemplar Employer Award. An Exemplar Employer goes the extra mile by providing an opportunity or opportunities for people who are finding it difficult to enter or re-enter the world of work. Stratstone Land Rover were the first organisation to receive this recognition but other organisations including Glevum Security, Specsavers in Cheltenham and Waitrose in Cheltenham have quickly followed suit and shown their commitment to the GEM Project and support for individuals signed up. Recently, two more certificates of recognition have been presented to local organisations. The first being one of GEM's partners Stroud Valleys Project. They have provided numerous volunteering opportunities for individuals on the project, including administration, marketing, fundraising and handyman positions. Also, Spider Creative, a creative project management business which is based in Stroud and ran by Sarah, an independent design specialist has supported one of our GEMs. Sarah has offered a work placement opportunity to further increase the GEM individual's knowledge and skills in the creative industry and provided 1-1 mentoring to them. 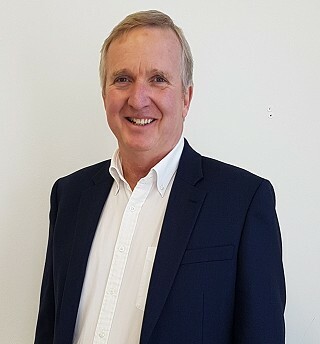 On 25th January, from 11.30am until 12.30pm, our GEM Opportunity Hunter Tony Solomon will be presenting a Cheltenham Chamber of Commerce seminar: Diversity and Inclusion - A Better Business Mix? Our customers are diverse, yet is that diversity reflected in our workplace? How do we break down the stigma that surrounds disability and create more open working environments? Are our recruitment practices excluding the best people for the job? Is Corporate Social Responsibility just an external focus? What financial support is available from the government? This event will be held at the Cheltenham Chamber's Business Centre, 2 Trafalgar Street, Cheltenham, GL50 1UH. For more information about the event and to register your interest, please click here. If you've been looking to get into or back into work, why not make 2018 the year to start your journey towards or into employment with the help of the GEM Project. The start of a New Year is often the time for people to set New Year resolution's, new goals and new challenges. If you've been looking to get into work, why not make 2018 the year to start your journey towards or into employment with the help of the GEM Project. 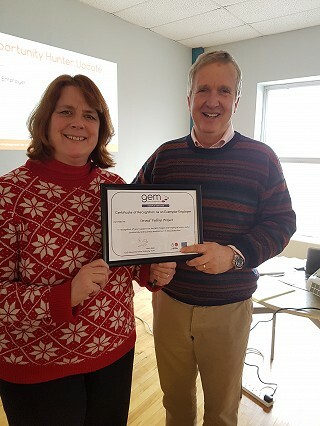 The GEM Project is committed to help you move closer towards education, training, volunteering or work opportunities, focusing on what you want to achieve. The programme helps you set realistic and achievable goals with the support of our Navigator Developers. They will work alongside you, providing personalised 1 to 1 support through your own tailored plan, helping you to overcome any barriers you may have and reach your goal. You will have access to a wide range of options from confidence building and interview support, to opportunities in gaining qualifications and work training. Your Navigator Developer will work with you at your pace, structuring your plan to suit any needs and requirements you may have to ensure you have the best support along your journey. The GEM Project has already engaged with over 600 individuals across Gloucestershire, supporting them with their goal, so why not get a head start and begin your journey today. Make 2018 your year with the GEM Project. The GEM Project is jointly funded by the Big Lottery Fund and European Social Fund.